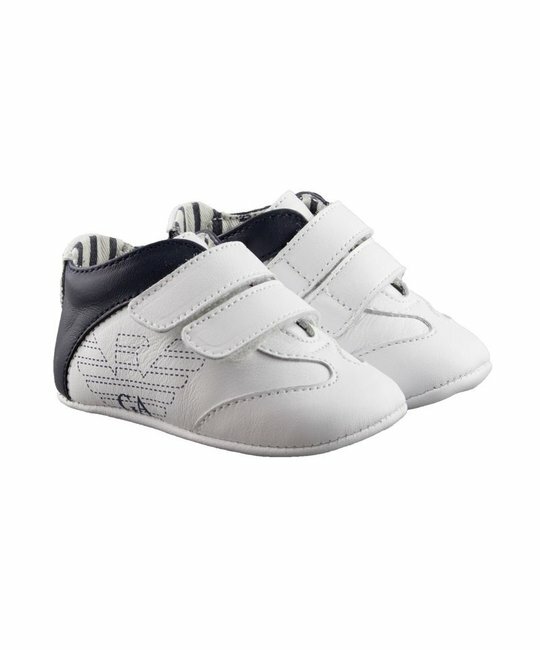 Emporio Armani soft leather white sneakers with navy trim, velcro closure and logo detailing. 100% Leather. Made in Italy.